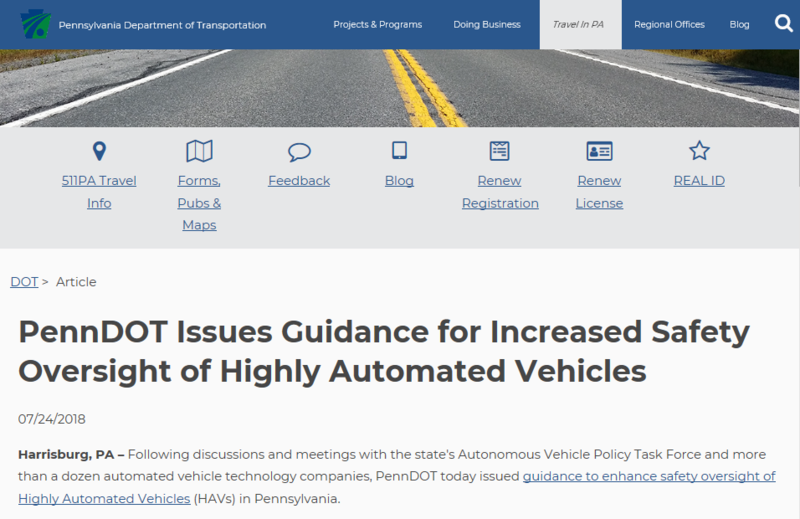 PennDOT Issues Guidance for Increased Safety Oversight of Highly Automated Vehicles. Raj Rajkumar, Director of CMU’s Mobility21 National University Transportation Center and Stan Caldwell, Executive Director, Traffic21 Institute and Mobility21 and T-SET National University Transportation Centers serve on the PennDOT Automated Vehicle Policy Task Force and participated in deliberation and provided feedback for the development of this policy. Read the press release about the new guidance here.